Meditation and mindfulness are both becoming more topical, although there is some confusion around the differences between these disciplines and the other introspective practices that exist. This is the act of silent enquiry, where the practitioner withdraws into silence and becomes an observer of what is taking place within the mind, not becoming attached to any ‘event’, thought or feeling, but acknowledging and then releasing it. There is natural learning that comes from this ‘observation’. One can also use still time to focus on a particular question or area of concern in order that it may be better understood. Mindfulness is fully focusing one’s mind on whatever one is doing or experiencing. It is the practice and the art of being so present within the perimeter of the self that only the present moment matters. One is neither being consumed by the past nor distracted by the future. It is believed that this practice of raising ‘awareness’ and being ‘present’ in the moment, offers a richer experience for us all, enabling greater self-mastery where it is lacking and the opportunity to live a more contented and fulfilled life. This is where you take a positive affirmation (mantra) and you recite it repeatedly, making the mantra the focus of your attention. In this way you use the mantra to push away all other distractions, therefore immersing yourself in positivity. The result is greater concentration, clarity and confidence. This practice is able to mould the mind in accordance with the practitioner’s desires. In its original form meditation is the process where the practitioner focuses on the divine. It’s an active effort to connect with that which is greater than the self. Of course this practice will vary according to one’s tradition, heritage and beliefs. However, the research is clear, that those who focus their minds in kind, loving ways, as demonstrated with loving-kindness meditation, reap substantial emotional, psychological and physical benefits. Deep relaxation is where one has the experience of ‘trance’. Trance is a beautifully receptive state, where the mind is open to positive suggestion. There are a variety of ways that one might enter this deeply relaxed state, such as: listening to a piece of music, sitting observing a wonderful scene in nature, the practice of deep breathing, creative visualisation etc. Hypnosis is also another medium where deep relaxation is used as a positive vehicle for healing and empowerment. Should you be making more time for this kind of introspective activity? Below is a brief summary of why we should all be taking introspective activities more seriously. These pastimes should not be fads or fashion statements – they are lifestyle choices. A brief introduction to the brain. The human brain is a reddish grey mass, with the consistency of firm jelly, which weighs on average the same as three bags of sugar and houses 100 billion individual brain cells called neurons. Each neuron has a cell body, which houses its processor, the nucleus. Branching from the bodies are countless finger like dendrites which, fan out forming extensive, tree like structures that intertwine with the dendritic trees of other neurons. Each neuron makes up to 1000 different connections with its neighbours and different areas of the brain. This extensive connectivity allows electrical signals, and thus information to travel from one brain-processing centre to another in a matter of milliseconds! The human brain is organised in a hierarchical manner: the oldest parts controlling the more primitive, instinctual behavioural reflexes, whilst the newest parts control the more sophisticated cognitive, sensory and motor functions. The human brain is made up of three main blocks: the forebrain, the midbrain and the hindbrain. See: Brain Matters. The oldest part of the human brain, the hindbrain, closely resembles the brain of a modern reptile, so is sometimes called the ‘mammalian’ brain – given the ancestry of modern reptiles. The hindbrain is responsible for automatic physiological reflexes that control breathing, heart rate and digestion, and coordinates movement and sensory perception. The midbrain contains neurons responsible for temperature control and the fine-tuning of movement. It relays sensory information from the body’s sensory organs to the forebrain. It also plays an important part in the limbic system, a group of brain structures associated with the expression of emotion. The most evolved part is the forebrain, which is composed of cerebral hemispheres and the hypothalamus and thalamus. The neurons of the forebrain control cognitive, sensory and motor function, as well as regulate reproductive functions, eating, sleeping and the display of emotion. Although you may often hear people referring to “left brain thinking” or “right brain thinking” there are extensive connections between the two brain hemispheres and information is processed often by using both hemispheres of the brain. Imaging studies have shown that most cognitive tasks such as problem solving or strategic planning activates neurons in more than one brain region simultaneously, or at least in close succession. For example if you are inspecting a new, never seen before object, the left hemisphere examines the object logically to see how it has been made, what it is made from, any distinguishing marks, and attempts based on the information gathered to guess what the object might be, and may even try to categorise it. However, this only gives a partial description and understanding of its use. The right hemisphere looks at the object more holistically, notes any functions in its design, or clues about what it may have been used for, how it feels and notes any emotions it may evoke. The right hemisphere gives the object a context based on what it already ‘knows’ about the world and then offers creative suggestions for its function. By working together as a team, sharing logical and creative information, the two hemispheres can generate a more complete description. So, in summary, the left hemisphere is associated with analytical rational and logical processing, whereas the right hemisphere is associated with abstract thought, non verbal awareness, visual and spatial perception and the expression and modulation of emotions. In the western world, most individuals navigate through their everyday life in a fashion dominated by left brain thinking. Missing out on right brain activity results in too much thinking going on – too much frantic doing, not enough time being. See: Knowing to Doing and Doing to Being. According to neuroscientist, Dr Shanida Nataraja, westerners use the left hemisphere of their brain too much, therefore missing out on the values of creative intelligence, spiritual insight and awareness. Practising mindfulness can bring about calmness, stilling the brain chatter, and help us shift towards right brain mode. By engaging our right brain we activate the parasympathetic nervous system (as opposed to the adrenaline releasing sympathetic system). More parasympathetic activity means less stress and therefore better health. According to Dr Nataraja’s studies, those new to meditation practices such as mindfulness often put pressure on themselves to be successful and are impatient about ‘getting there’ quickly, which is a left brain approach – ‘are we there yet?’ – and consequently it takes longer to achieve the benefits. See: The Three Ps. Dr. Nataraja suggests that the key is to be kind to yourself, acknowledging thoughts and then letting go (still time and loving-kindness meditation). This activates certain pathways in the brain, which reduces left brain activity. Some of us ‘believe’ we need regular amounts of coffee or other chemical enhancers to make us cognitively sharper. But is this true? The research into meditation and mindfulness is pointing out that our reliance on stimulants provides us with the illusion of more energy and maybe even clarity, but these are not states that last. In fact they create dependency as we end up needing more of the stimulant to sustain the feeling. While past research using neuroimaging technology has shown that meditation techniques can promote significant changes in brain areas associated with concentration, it has always been assumed that extensive training was required to achieve this effect. Surprisingly, the benefits may be achievable more easily than we thought. Psychologists studying the effects of mindfulness found that mindfulness-trained participants showed a significant improvement in their critical cognitive skills (and performed significantly higher in cognitive tests than a control group) after only four days of training for only 20 minutes each day. So it might be possible to find inner peace more quickly by looking within rather than looking outside of ourselves. 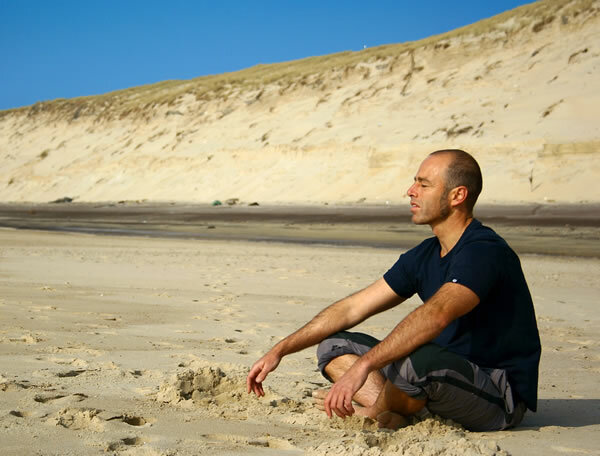 See: Meditation Alters Biochemistry. 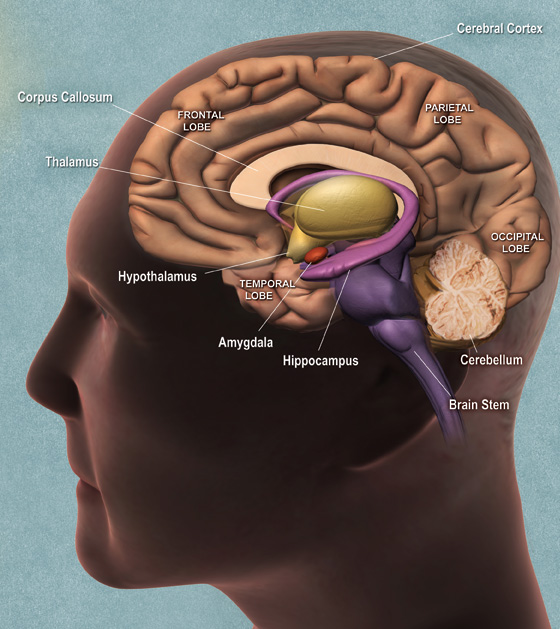 Emotions are triggered in the brain by thoughts, which are often unconscious. When we are confronted by a potential threat, this can trigger fear, anger or the urge to flee (sometimes called the amygdala hijack). The reaction is often disproportionate to the actual provocation. When in the grip of these emotions, your capacity for higher rational brain thinking is diminished, and you are likely to revert to deeply enshrined behaviours stored in the amygdala and hippocampus. The practice of mindfulness helps us to recognise and observe our thought patterns. Practitioners develop the ability to recognise when thoughts arise, and observe them in a detached manner, without the need to become involved in them, thus not triggering an emotional or automatic reaction. There is increasing evidence that shows how relaxation, self-hypnosis, hypnosis, mindfulness, creative visualisation and other introspective practices are enhancing the brain and body health. We mentioned loving-kindness meditation (LKM) earlier and this practice has brought to the fore the value and the power of empathy. LKM is where the practitioner is asked to concentrate on feelings of love, compassion, and understanding. By comparing MRI scans of novices to those of expert Buddhist monks (each with more than 10,000 hours of practice), researchers watched as emotional stimuli (sounds of people in distress) caused those areas of the brain linked to empathy to light up; the monks exhibited greater degrees of empathic response than the novices. In turn, the scientists concluded that compassion meditation can make a person more empathic. Also see: The Compassionate Mind.